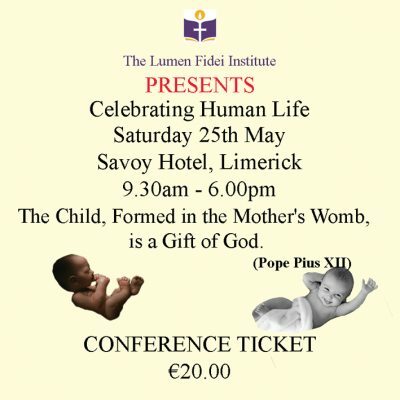 A lunch featuring a Main Course, Dessert & Tea / Coffee can be pre-booked through The Lumen Fidei Institute for €20.00. To assist with catering preparation this must be booked at least 5 days before the conference. You will receive a voucher to exchange at the hotel. 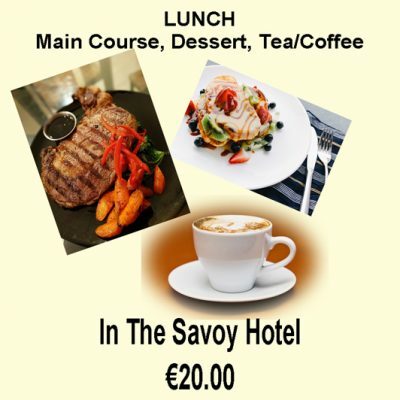 You are of course welcome to make your own arrangements for lunch but please note that due to health and safety regulations the hotel do not allow delegates to bring their own food to consume on the premises.